Today, Wes and I ran our first half marathon. 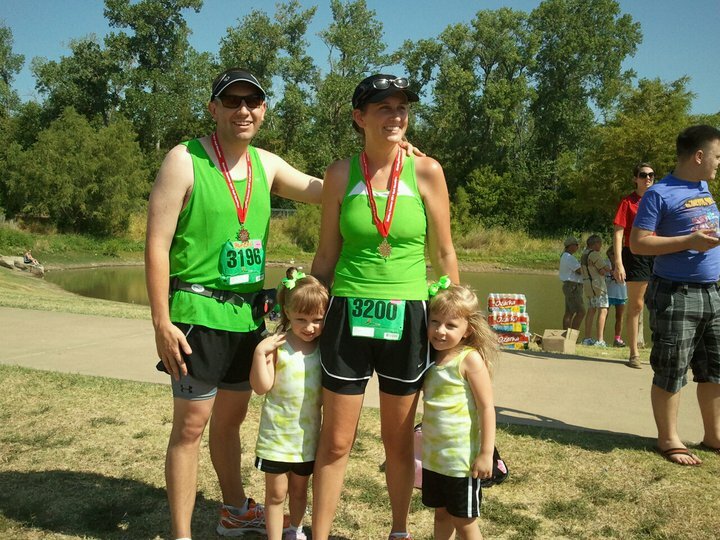 As the name suggested, the Sizzling Summer Half Marathon was indeed hot, but thanks to the temperatures we’ve been experiencing in Oklahoma, we were prepared for the ninety-five degree heat. (Which was actually COOLER than what we have here. How is that possible? I don’t know.) The route was beautiful, the workers were so encouraging, and the finish was AWESOME because a certain almost five year old ran the last few steps with me. 13.1 miles — done. Wooooo-hooooo! Wow! Well done! You are SO fit! Who looked after the girls while you ran?